For the millionth time, Adobe's much-maligned Flash software has another critical vulnerability that affects millions. The zero-day vulnerability lets attackers take control of a user's system, crash a user's system, and steal private information. Even worse, attackers are currently using the exploit so every unpatched system is potentially in trouble. 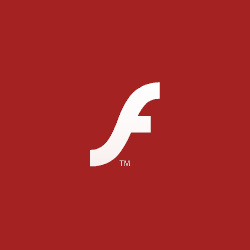 Adobe says all desktop versions of Flash are affected, including OS X, Windows and Linux. <Uber settles with California regulators for up to $25 million over background checks, airport permits >HTC unveils its new flagship, "10"
Adobe by far from any other company I know of had the worse attitude when it came to security and vulnerabilities in there components. When I worked at Microsoft and each team shut down for 3 months to simply focus on fixing security holes, we identified a number of serious security holes in the Flash and we couldn't fix them as they were in Flash's code. Upon compiling a list of such issues/vulnerabilities we sent the list over to Adobe for them to look at fixing. It was shocking to see Adobe's response and their attitude upon receiving such information, then felt it wasn't their responsibility to fix such issues, even though the security bugs were completely within their code/components. I really wish I could fathom why Adobe doesn't just nix this software and push all out to HTML5. I know Adobe is sucking this one dry trying to make as much money on licensing or royalties but when your product is crippled over and over again and hated as much as Flash is, the honorable thing to do is stop developing it permanently! I removed Flash from my computer months ago, and found I rarely ever need it. Some sites might still want to display a video using Flash, but I either skip it or find another site that has the HTML5 version of the same video. I did the same with Java too. That might mean more if Microsoft cared about fixing its crap software too.